As you read this, the old round £1 coins have ceased to be legal tender in the United Kingdom. British news outlets are reporting that millions of the old round pounds are still in circulation but that might not be bad news for many Britons. 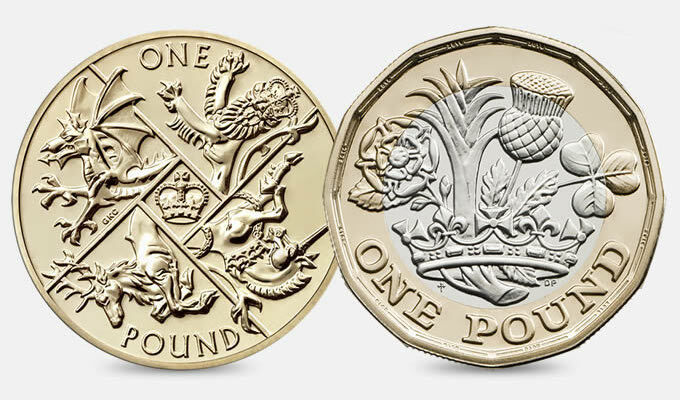 There are reports that many coin-operated systems have not been converted to take the new 12-sided £1 coin including supermarkets, where a £1 pound coin is necessary to “rent” a trolley, what the British call their shopping cart. Two of the U.K.’s largest grocery store chains have announced they will continue to accept the round pound through the end of October because their trolley systems are not ready. Charities are getting into the act by accepting the old round pound as donations. Many charities will continue to accept the coin through the final redemption period in March 2018 as donations. The charities are working with banks to deposit the coins. It has been fascinating to read the news of how the U.K. has tried to adapt to the new coin. The biggest issue has been with the use of coin-operated equipment like trolley rentals and parking meters. It is a lesson to any active economy, such as her in the United States, as to what could happen should the composition of U.S. coins change. Although there have been discussions as to whether to change the composition of United States coinage, it is not likely to happen for many reasons. What may be gaining support is dropping the $1 Federal Reserve Note in favor of a dollar coin. This would not require changes in coin-operated systems but a change in attitudes. Given how resilient Americans can be, it would be possible to end production of the $1 FRN and just endure the kvetching that will ensue. That will end when people get used the coin.